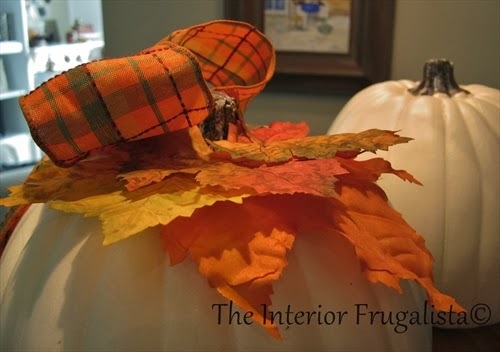 This post is courtesy of the Interior Frugalista who is an amazing DIYer and inspiration for me. 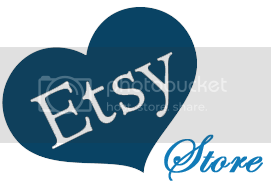 Hop on over to her site for more amazing projects. http://www.interiorfrugalista.com and tell her Wendy sent you!! 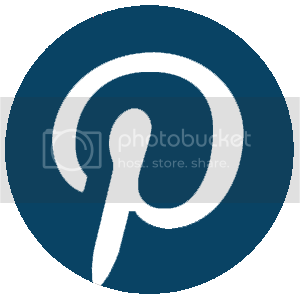 I’ve got nothing…nadda…zippo…zero finished projects to share with you guys this week. I’ve got plenty in the works but nothing remotely close to being finished. Considering Fall is upon us…ahem…in our case Winter. Would you believe it’s snowing here today! Can you hear my sobs? 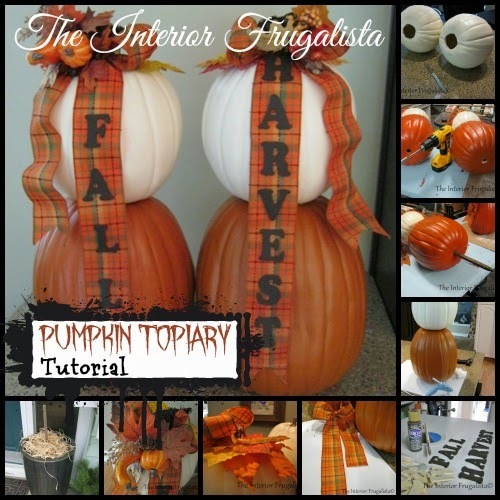 I thought I’d dust off my Fall Pumpkin Topiary tutorial to share with you all today. 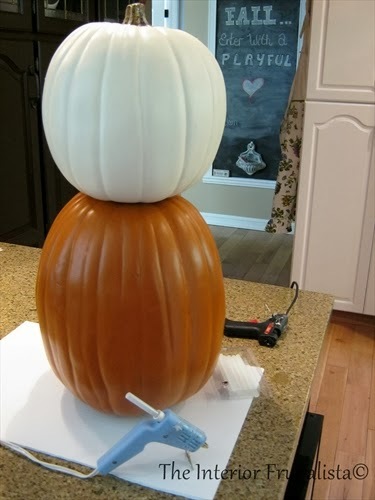 Cut a hole in the base of the top pumpkin to accommodate the stem of the bottom pumpkin. Yes that’s a steak knife and I don’t recommend you use one – I was too lazy to go down to the shop for a craft knife. No fingers were harmed in the making of this topiary! 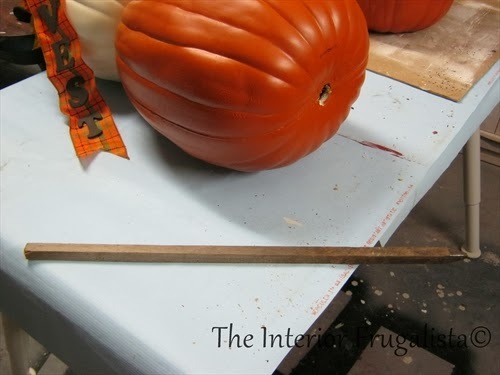 Drill a hole into the base of the bottom pumpkin to accommodate a garden stake. 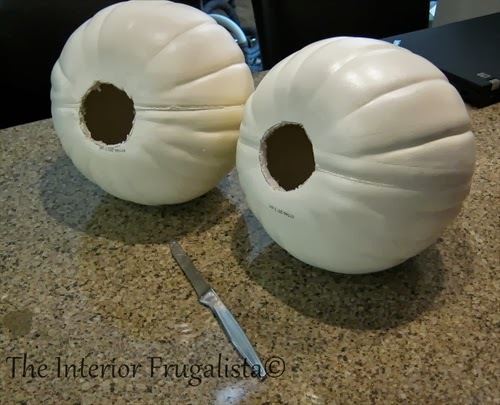 Hot glue the pumpkins together. Don’t be stingy on the glue or you may end up with a headless topiary if you plan on using it outdoors! 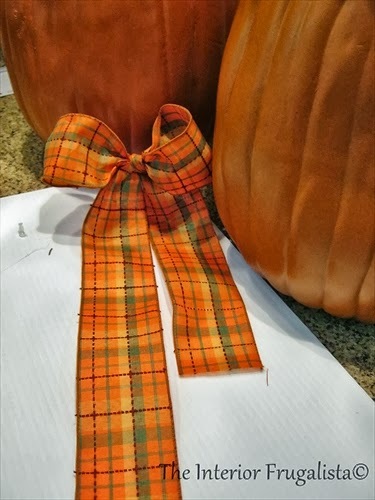 Tie ribbon into a simple bow. Sorry for not including a tutorial but here is one I came across on YouTube that might be helpful How To Make A Bow. Unlike the bow in the video, make sure you have enough ribbon for long tails (I used one full roll for two bows). To be a little different I decided to make one tail shorter than the other. I picked up a bag of these wooden letters at Michaels. One package was enough to get all the letters I needed and then I painted them in Raw Umber. 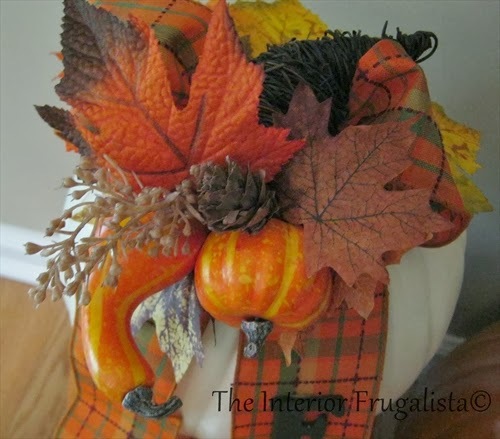 Attach each letter onto the ribbon with a hot glue gun before attaching the ribbon to the pumpkin. A few fingers were singed in the making of these ribbon tails! Fold the bottom of each tail into itself and cut upward at an angle. 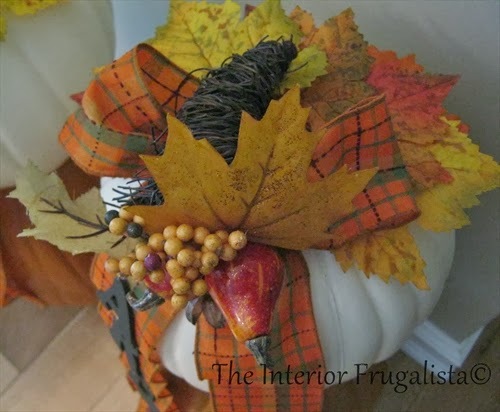 Layer fabric leaves on the top of the pumpkin and secure them in place with the hot glue gun. Next glue the bow on top of the leaves. I found these cute Cornucopia picks at Michael’s and attached it in the middle of the ribbon with the hot glue gun. I think they’re stinking cute and got loads of compliments about them last year! 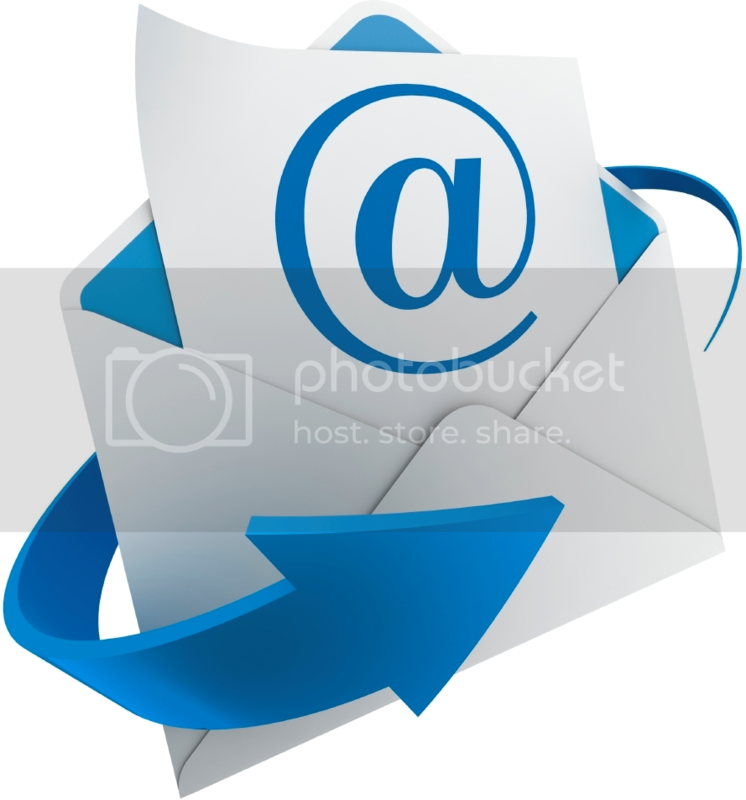 Another option would be using burlap ribbon. 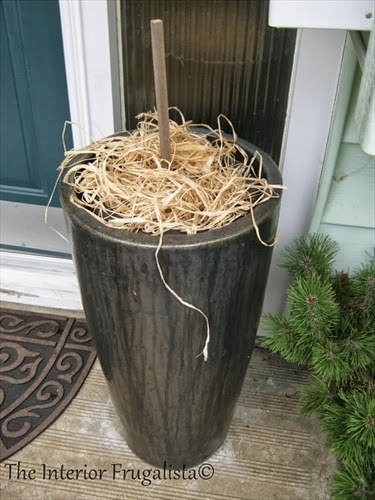 Make sure your flower pots are filled with garden soil. Place the garden stake that I showed you in Step 2 into the soil as far it will go. 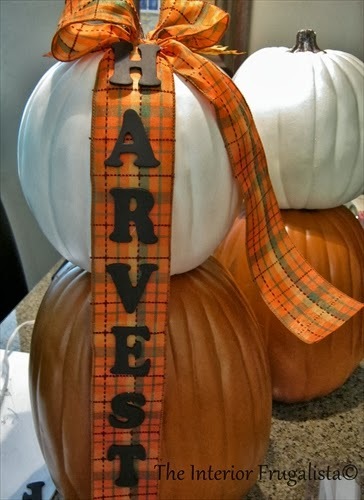 Scatter Raffia Ribbon around the stake to hide the soil and provide a pretty base for your pumpkin. 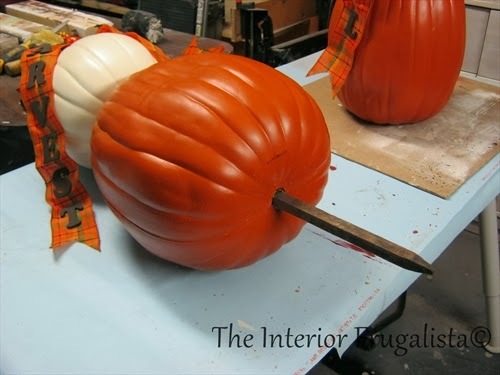 Insert the pumpkin onto the stake to secure it in place and keep it from blowing away in the wind. 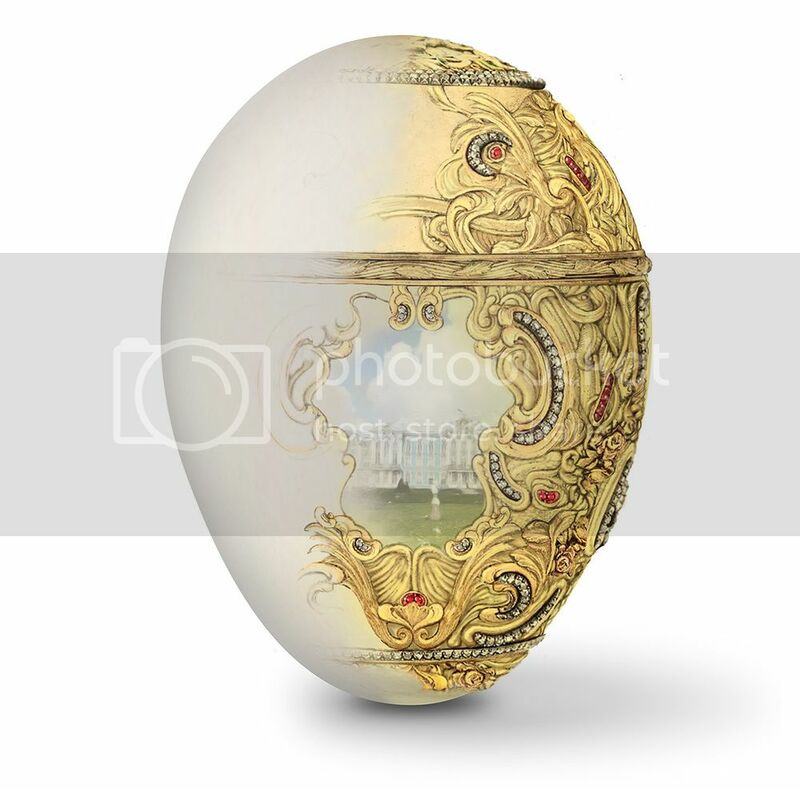 TIP: I decorate my urns during all four seasons so I use plastic plant pot inserts which can easily removed for planting and decorating. 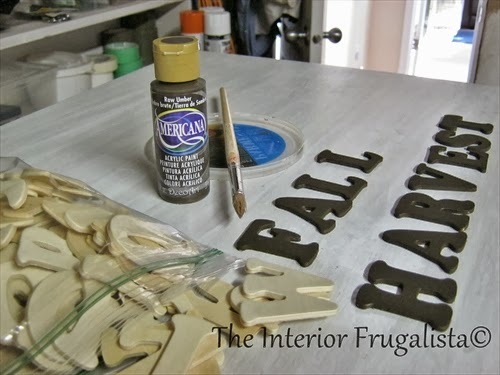 This comes in real handy during the winter when adding Christmas greens for my holiday display where I can work in the cozy warmth of my home. 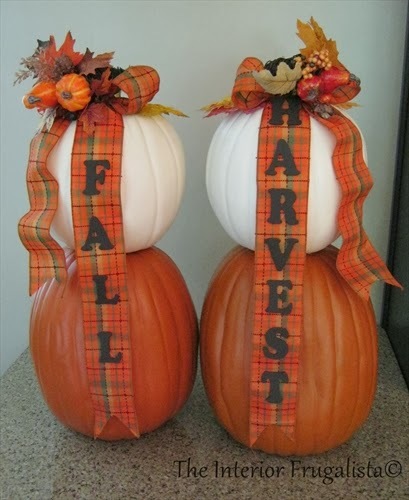 So there you have it, Pumpkin Topiaries to welcome guests during the Fall season! I hope this tutorial inspired you to make a couple for yourself.